Thriving hot tub and swim spa retailer and 1 Stop Spas Managing Director Chris Brady has been ramping up the promotion of his new 1 Stop Spas Trade division ahead of SPATEX this month. The Billinghay-based company has recently hosted its largest ever January sales event and rolled out its new B2B division at the Lincolnshire Business Expo after announcing that it is now the UK distributor for the Aquaness Swimming Pool/Swimspa Exercise Bike and is promoting the V1 entry-level bike and V5 professional bike. It follows the deal last year to become the official distributor in the UK for the iconic SpaDolly range. Before being showcased to the wet leisure trade audience during SPATEX, the launch of the new 1 Stop Spas Trade division; which will be a specialist supplier for the hot tub retail and aftercare market with emphasis on specialising in niche innovative products; has been highlighted to visitors during an appearance as an exhibitor at the expanded Lincolnshire Business Expo that has been taking place today, January 16, at the Lincolnshire Showground. Last year more than 1,500 people attended the largest B2B event in Greater Lincolnshire organised by CityX Events. This time round a new hall has been added to accommodate extra exhibitors for today’s event that is combining three expos in one. These are the Lincolnshire Business Expo, the Tech Expo, and Visit Expo. 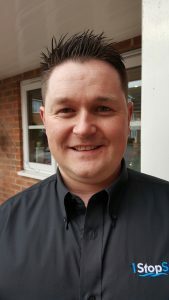 “1 Stop Spas Trade is only available to selected industry professionals, certified technicians and established organisations,” explained Chris Brady. “Applications will be reviewed on a case-by-case basis to ensure the quality of the suppliers representing our products. One of the key elements of the 1 Stop Spas Trade promotion this year will be the new range of fully HSG282 compliant hot tubs, including the WhatSpa? Holiday Park Magazine Best Buy Award-winning Escape, Getaway, and Relax models, which have been specially designed for the holiday park market by Marquis. The multi-award winning WhatSpa? Approved and WhatSwimSpa? 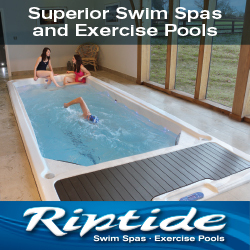 Approved retailer has helped to inspire this range from the iconic manufacturer and has come a long way during the past decade to rise to prominence in the UK’s wet leisure marker. “We designed and launched the very first range of fully HSG282 compliant hot tubs in the UK and continue to specialise in the supply of hot tubs and swimspas to holiday parks and lets throughout the UK including major organisations such as Forest Holidays as well as smaller independent holiday cottages and Glamping sites,” reported Chris. After achieving strong annual sales success with leading USA hot tub and swim spa brands American Whirlpool, Marquis and Vita Spa, 1 Stop Spas has also been instrumental in the launch of the SpaTech Training division by former RAF aeronautical engineer Chris Brady, pictured, who will be promoting the scheme and its training courses on his 1 Stop Spas stand during SPATEX at the Ricoh Arena in Coventry, running from January 29 to 31. “Our business was actually founded as a hot tub repairs and servicing company and not a retailer,” said Chris; “However, over the years, our existing customers turned to us for help and advice on choosing reliable hot tubs for their friends, family and even upgrades for themselves. “Due to the number of sales generated over the years through friendly reliable advice, demand from customers for us to supply their hot tubs and swim spas grew so in 2012 we opened our first showroom. “Demand rapidly grew as potential customers turned to 1 Stop Spas for expert advice on helping them chose their perfect hot tub. In 2014 we became a Limited company followed by the opening of our larger showroom in Billinghay in 2015. To register your interest for SpaTech Training visit the 1 Stop Spas stand during SPATEX or to confirm a course booking call 01522 300737 or visit www.spatechtraining.co.uk for further details.